We are the Snyders (Brian, Barb, Bailey and Brinlee) and we live in Northern Arizona. Our family moved to Arizona in 2011 to serve with a ministry to the Navajo which Lifeline Christian Mission assumed ownership of. The ministry has been difficult, but very rewarding. The ministry has evolved into more multi-cultural work, but still has an emphasis on Native American ministry. Our hearts are still to have local people trained and empowered to do the ministry in this area! It is amazing to see how God has prepared us for this ministry through all the good and not-so-good ministry/life experiences we have shared. As a family, we love to serve and help others as they seek a relationship with Jesus Christ. Our passion is in teaching. 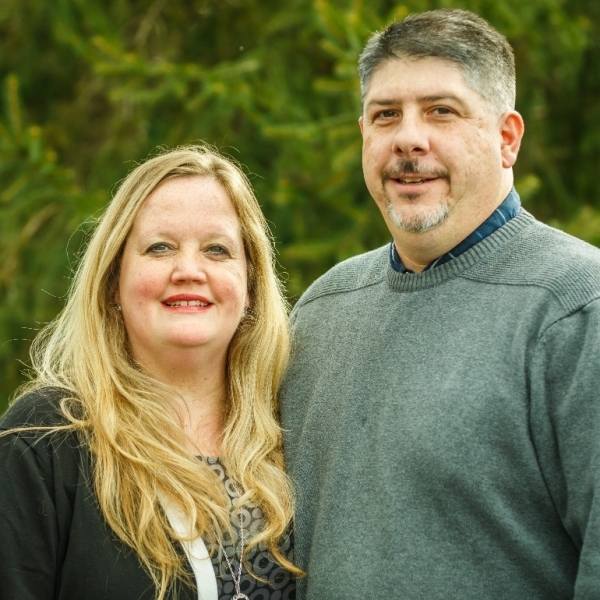 Barb loves to teach through music and building relationships and Brian simply loves to teach anything that comes along. Our desire is to see others rise into ministry and begin new ways to building the Kingdom. Community outreach, building relationships, community groups, missions work, and service projects are things we absolutely enjoy being a part of. Ok, so to really get to know us there are some true ways to our heart: Tim Horton’s coffee, camping (ask about our fire incident sometime when camping with friends in Texas! ), family time and game nights. Brian is a huge Penn State fan and Barb is, well, Ohio State just to get on his nerves (she really doesn’t care). Additionally, Brian enjoys archery, hunting and fishing. Barb loves singing, performing and being a part of helping others enjoy the gift of music. The girls love the performing arts as well, but also dabble in photography (Bailey) and art/painting (Brinlee). Thank you for your support, as it means so much to know that we have partners praying, supporting and encouraging us as we trust God and serve Him in this ministry. Please keep in touch by visiting our blog and signing up to receive updates! Join us as we share the adventure God has us on in Arizona with Lifeline Christian Mission!